While I don’t do Super Bowl Sunday’s or watch football at all, but doesn’t mean I can’t enjoy making good food that can be enjoyed during the game or a game night with friends. 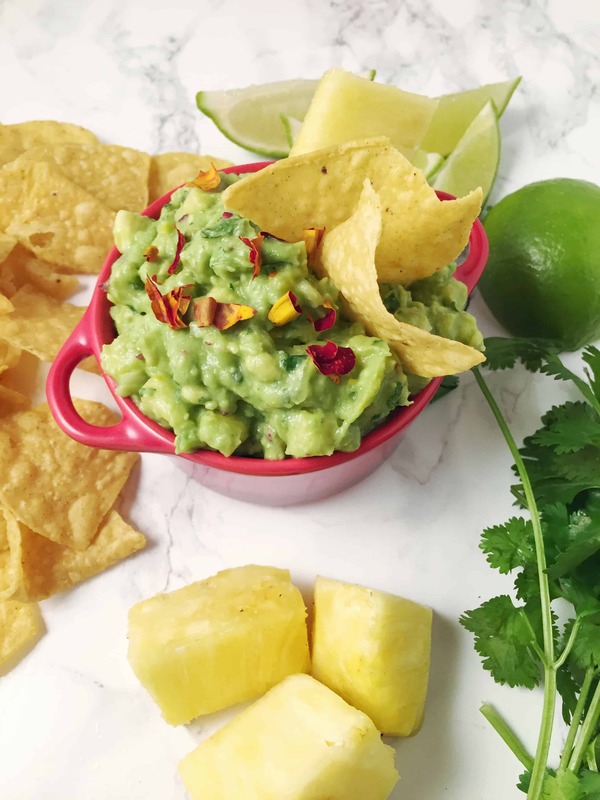 These Nachos and Guacamole with pineapples and edible flowers are my new favorites to enjoy and it’s nice because you can use them in so many different ways. 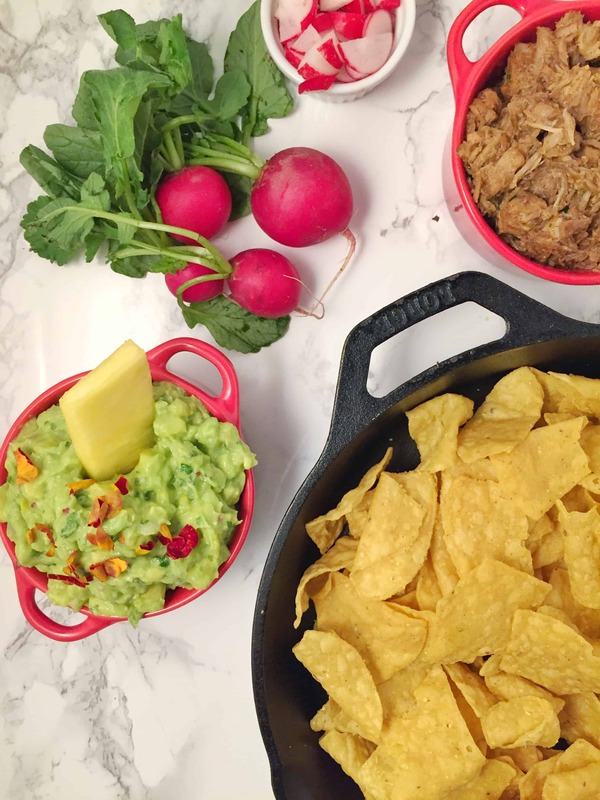 Make tacos, burritos, nachos or even a salad bowl. Let’s start the party with the Pork Carnitas. There are a few extra steps to this recipe, none of them are hard or time consuming. The end result however is out of this world. It’s super moist, flavorful and completely melt-in-your-mouth. 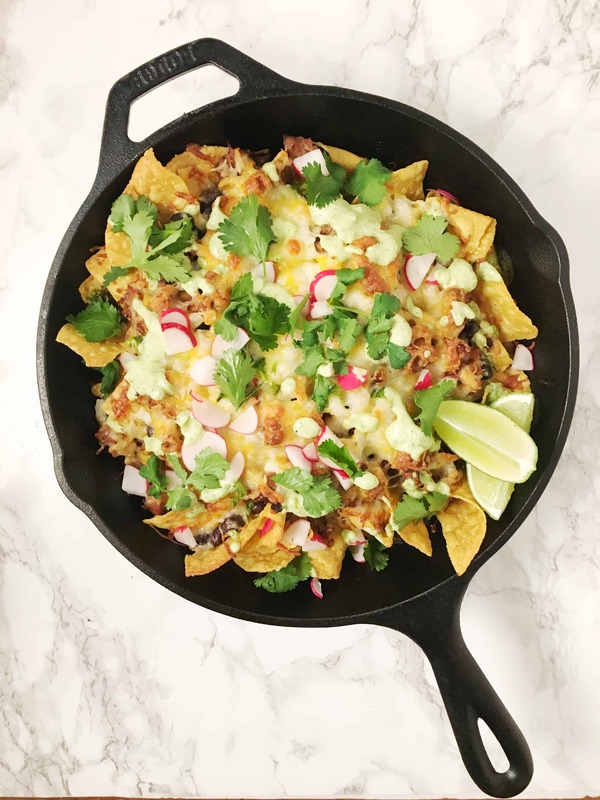 I used my favorite Lodge enameled cast iron Dutch oven to prepare this rock star recipe. This pot is one of my favorites to use for multiple recipes and is a must in any household. While I don't do Super Bowl Sundays or watch football at all, but doesn't mean I can't enjoy making good food that can be enjoyed during the game or a game night with friends. 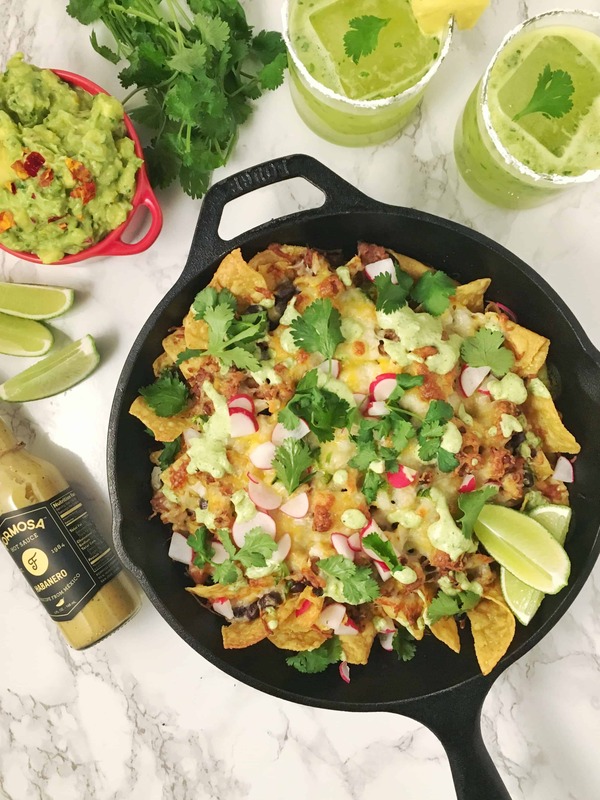 These Nachos and Guacamole with pineapple and edible flowers are my new favorites to enjoy and it's nice because you can use them in so many different ways. 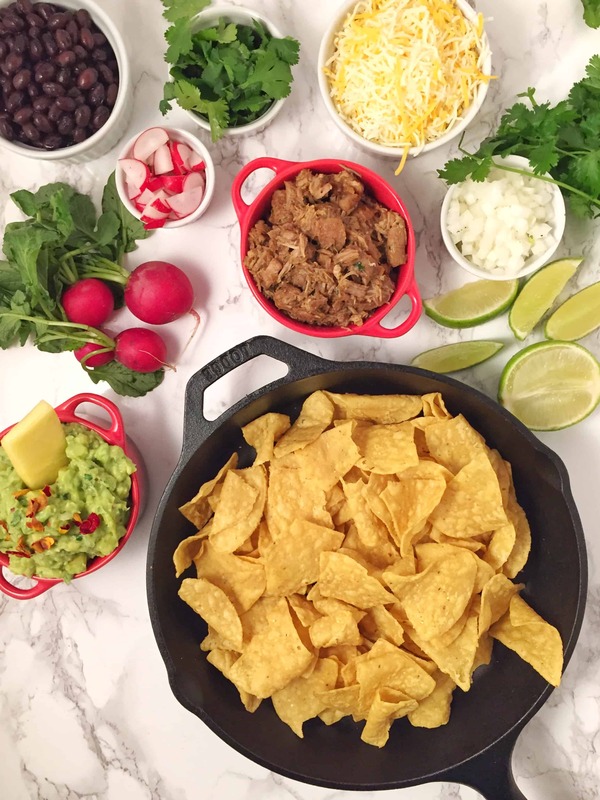 You can make tacos, burritos, nachos or even a salad bowl. Adjust oven rack to lower middle position and heat to 300 degrees. Combine the meat with dry ingredients in a large mixing bowl. Mix well. Add half of the seasoned meat and sauté with half the onions in the Dutch oven (this is my favorite one!) until golden brown. Remove the browned meat into a clean bowl and repeat with the rest of the meat/onion combo until browned. Once both are completed add both back in the Dutch oven including the spent orange halves, orange juice, lime juice and water. Bring the mixture to a simmer over medium-high heat, uncovered. Once it simmers, cover pot and transfer it to the oven. Cook until the meat falls apart when prodded with a fork, about 2 hours. Use a teaspoon and scrape out the avocado into a bowl. Add all the remaining ingredients and mix well, season with more salt to taste. 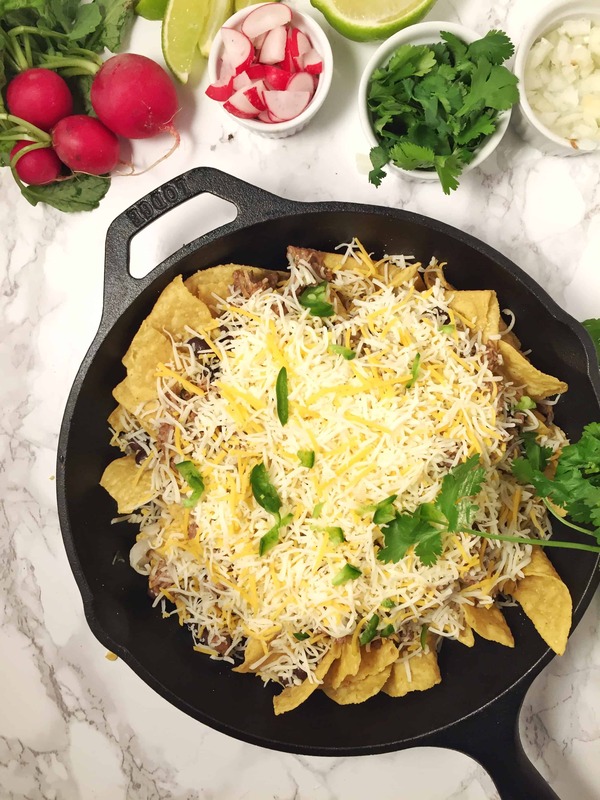 Add the chips to the cast iron skillet, then add your toppings in the order listed. Bake for 10-15 minutes, or until cheese has melted. 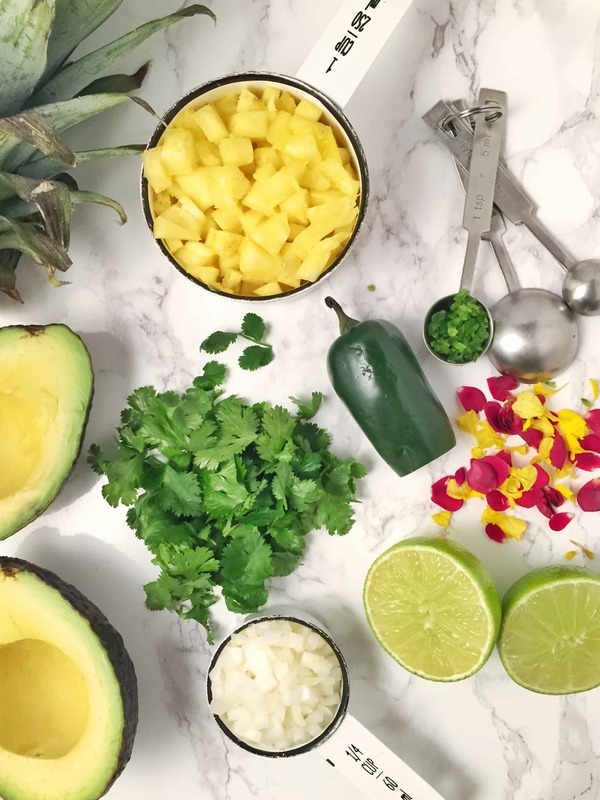 Add the last three toppings listed and enjoy while hot with your pineapple guacamole.